On Sunday morning, July 10, 2006, Rev. Tony Ponticello addressed the congregation at the Community Miracles Center in San Francisco. What follows is a lightly edited transcription of that lecture. The title of my talk today is “Core Issues.” (Two people in the congregation spontaneously say, “Uh Oh!” and everybody laughs.) I didn’t realize that would be so risky. I’ve observed, lately, that we all have certain core issues. Certain issues, certain problems, that tend to recur and recur and recur. Sometimes we make little breakthroughs with them, but with our core issues, they have a way of coming back. I’ve been noticing that with myself and with other people. All people have certain issues that tend to come back again and again. For myself, it’s always the issue of having too much to do, not having enough time and feeling overwhelmed because of it. I would say that any issue that lasts for decades is probably a core issue. (laughter) I’ve had that issue for decades, really. I do make little breakthroughs, but it tends to recur. I had an interesting realization about that particular issue. I remember the very first time I felt that way. I believe I was in seventh grade. (laughter) I was twelve, or close to that age. I think I had just gotten into the marching band and I was also in another extracurricular activity. I was realizing that all my nights after school were taken up and many other things that I wanted to do after school, that I liked to do, I wouldn’t be able to. There were good friends I wouldn’t be able to see. I couldn’t understand how I was going to do all the things that seemed important. I wanted to do these things. It seemed like I was supposed to do these things. I felt overwhelmed and pressured. I remember having that feeling. I tried to handle it in seventh grade. I’m still trying to handle it. It’s a core issue for me. I have a friend, who will remain nameless, who has a core issue. My friend has too much clutter in his or her house. As much as this person tries to get past this clutter issue, and I’ve known this person for more than a decade, it seems like that issue is always there. Now my friend continues to work on this issue, goes to counseling on this issue, hires people to help him or her with this issue and does make substantial breakthroughs with this issue – but my friend still has the issue. It must be a core issue. A Course In Miracles says, “You have learning handicaps in a very literal sense. There are areas in your learning skills that are so impaired that you can progress only under constant, clear-cut direction, provided by a Teacher Who can transcend your limited resources.” (T-12.V.5.1-2) “Constant, clear-cut direction” around the core issues of life – we need it. I need constant clear-cut direction. This is not the kind of issue which, once I have a breakthrough on, I can rest about. Even if I’m doing better about that issue in the current period of time, I probably have to keep doing all the things that I did to have the breakthrough even now, when the issue does not appear to be as bad. This prevents me from having another difficult time with this issue, spiraling down into that issue, because it is a core issue. It’s a bad habit. It’s a learning handicap, in a very literal sense, that I have. My friend with the clutter problem probably has a learning handicap, in a very literal sense, about that particular issue. Even after breakthroughs are made we have to continue doing those things that helped us have the breakthroughs even when the problem does not seem to be present in order to not get sucked into it again. I have another friend. “Yes” I have friends. This friend has the issue of getting depressed in the morning – morning depression, a very common issue. This person feels that he or she has worked hard on this issue for many, many years. My friend feels that she or he has had many breakthroughs on this issue. Why does the issue keep coming back? Why? Because it’s a core issue. It’s one of those issues for which she or he has learning handicaps in his or her mind. It probably will recur for her or his entire life. Anytime we let up on the work we do on ourselves to maintain – the core issue will probably again become a real problem. In truth, I will probably always have some issues about time, work and feeling overwhelmed. It might not always be a problem that upsets me but I’ll probably always have this issue. My friend with the clutter problem will probably always have an issue with clutter. It might not always be a devastating problem in his or her life, especially if this person will continue to do the work that he or she knows helps – but it will probably always recur. The same thing with my friend who frequently wakes up in the morning and feels depressed. The Course gives us a different twist about these limitation issues. It tells us, “Don’t despair about them. That’s why you’re here.” We’re here because we have these issues. The Holy Spirit can then use all the breakthroughs, all the work, all the progress that we make on our core issues as a way for us to reach other people who have those issues as well. Maybe they don’t have them to the severity that we have them. We can help those people along by giving them our insights. Maybe they have them even worse. It doesn’t matter. The breakthroughs and the growth that we have by working on our core issues becomes our gift that we can give to the world. Our core issues become our special function. Winston Churchill described his depression – and he was a man who had dealt with severe depression at many different times in his life – he always referred to it as “the black dog.” He would say, the black dog of depression came over him. Yet, he was also a person who mastered the black dog. He didn’t let it stop him. He dealt with it and accepted it. He didn’t despair because he had the limitations of the black dog of depression. He embraced it. He realized it was his special function. He talked openly about it and thus he became an inspiration for other people who had depression as well. Of course, Winston Churchill achieved great things and helped the world, and especially England, get through a very hard time. People have all different core issues. Other people’s core issues might not be my core issues. I know that some people have food and weight core issues. They continually recur. They make progress; they tend to backslide. It’s a core issue for them. I know people who have core issues around money and jobs. Sometimes they do better at them. Sometimes they don’t. I’m always amazed. I’ve known people for 20 years, 30 years, and every so often they get involved in that same money issue, that same job and career problem. We try to handle these things. We all try to do something about them on a worldly level. A Course In Miracles tells us, “ way you handle error results in nothing. The more complicated the results become the harder it may be to recognize their nothingness.” (T-8.VIII.6.8-9) I have tried to handle, on a worldly level, my issue about too much to do and feeling overwhelmed in every possible, conceivable way that I could handle it. That Course statement is absolutely true. My handling results in nothing. None of my handling ever helped. The problem has a way of shifting a bit and then coming at me from another direction. It’s just my life’s work. I have to do an internal shift in order to make any of the external things even moderately effective. There are deeply ingrained beliefs that I must have inside my mind about the scarcity of time. I have time scarcity issues. Other people have other scarcity issues. Now, I know people who think that intimate relationships are scarce. I don’t have that scarcity issue. (laughter) It’s not a core issue for me. I know some people are busy looking for their “twin flame” that they can burn brightly with – or maybe just flicker with (laughter) – or do whatever with. I don’t understand this. In truth, I’ve never been without an intimate relationship in my whole life. At least one. I’ve usually had more than one going on during most of my life. Intimate relationship scarcity is not my issue. It is interesting to me though. I can have an abundance of wonderful intimacy. I can do that; other people can’t do that. However, I can’t find time to go home and watch a movie and most people do that all the time. What’s going on here? I’m not any better than anybody else except my issue of lack has been shifted over to this other thing. You would think that the insight that I’ve learned about relationships – the abundance I know about relationships – would somehow translate into time. I can’t make that translation. I don’t know how. I don’t know why that is. I was talking to another friend awhile ago who was excited about the possibility of a new intimate relationship. This friend was looking for a new relationship. My friend was so excited about this new possibility because he or she was connecting to somebody on the internet and they were hitting it off. However, this new possibility mird on the East coast and my friend mird here in San Francisco. My friend wanted me to be excited about this new possibility, and I wanted to be excited for my friend but another part of me kept thinking, “Are you nuts!” (laughter) I thought, “There’s seven million people in the San Francisco Bay Area. How discriminating are your tastes? Can’t you find one of these seven million that ‘sort of’ fits the bill?” A Course In Miracles says, “Your brothers are everywhere. You do not have to seek far for salvation.” (T-9.VII.1.4-5) (laughter) “Look out on the street for Christ sake!” (more laughter) But see – it’s not my issue. We have the internet now which makes it so easy to connect with people. It’s never been easier and yet .... I don’t know. My friend was excited about this possibility and, true to form, that possibility didn’t come to fruition. They met once and the relationship didn’t work out. These are those core issues of lack that we all have and we all are trying to heal. I think we need to be patient with ourselves and when we do have some kind of breakthrough – when we have an important mental, internal shift and then something in the external helps which reflects that internal shift – I know we have to keep that internal work going all the time especially around these particular issues that tend to recur. Maybe we can about certain side issues. Sometimes a new problem comes along and I muster up my metaphysical truth and I apply my A Course In Miracles philosophy. I do some affirmations and I do whatever I feel guided to do . Maybe I get specific guidance about how to handle the issue in the external world and I do it. I handle it. The new side problem does go away and it doesn’t come back. But that wasn’t one of my core issues. Those new problems are different things. They haven’t become ingrained with a deeply repeating belief pattern in my mind. They were things I was able to nip in the bud. Maybe if I had had a little more metaphysical wisdom when I was in seventh grade I could have nipped the idea that I was overwhelmed in the bud – but I didn’t. I just nursed it and spun it for another 30 or 40 years. Now I’m trying to work on it but it’s very deeply ingrained. A Course In Miracles says this about time, “You can ... retain in your memory only what is creative and good. This is what your right-mindedness cannot but dictate. 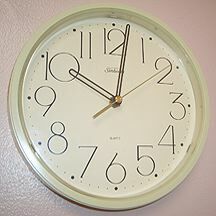 The purpose of time is solely to ‘give you time’ to achieve this judgment.” (T-2.VIII.5.6) Time does have a purpose. The purpose of time is simply to remember all that’s creative and all that’s good. I must be misusing time. (laughter) I must be using it for some other purpose. I am. I realize that. I know that. I don’t always just think of, or remember, just the creative and the good. I spend a fair amount of time spinning uncreative and bad things, memories of lack in my mind. I do. I need to stop that. I was talking to a person this week who had a very, very problematic relationship with their mother. Their mother has passed now. On this particular day – it was my friend’s mother’s birthday – the day was bringing with it a lot of confused and strange feelings. I went within and got some guidance and I asked my friend, “Why don’t you share something about your mother that was good? Share a fond memory you have about your mother.” Even though these might not be the prominent thoughts that are going through your mind, do the mental exercise. Go back and think of something that was good. So, my friend did that and it was good experience. There was a little bit of a shift which was great. That’s what we’re here to do with everybody and everything. I’ve said it frequently. My relationship with my father got a lot better after he died. (laughter) I tend to remember the good things about my dad. I have to go through my whole childhood to pick out those few – but they were there. The more I think about those good things, and remember those, my relationship with my father shifts. You can have a better past, just remember the better things and your past becomes better. We’re not trapped by our past. Our past is actually continually in flux. We’re continually recreating it. We’re "remanifesting" it in our present mirs. It’s an illusion. It doesn’t exist anyway. You can have it be however you want it. Change your past if you don’t like the one you had. Choose different memories. Make up different memories. If you have no good memories – make one up! (laughter) What might it have been like with your mother if she hadn’t been insane. Make it up! (laughter) That’s just as real as anything. These things, these core issues that we have to work on, they are our special problems but they become our special blessings that we can give to the world. A Course In Miracles says, “What seemed once to be a special problem, a mistake without a remedy, or an affliction without a cure, has been transformed into a universal blessing.” (T-26.II.7.5) Every time we do a little bit of work on these big, major, core issues we share that work. We share that healing with the entire universe and it becomes a universal blessing that everyone benefits from. In fact, that’s why we’re here – to work on those chunks for healing, those pieces of the whole that have been core issues for us and then we automatically share that work, and now that blessing, with the world. In another place, the Course says, “Your special function is the special form in which the fact that God is not insane appears most sensible and meaningful to you. ... The Son of God cannot be bound by time nor place nor anything God did not will.” (T-25.VII.7.1.4) I need to remember that the Son of God cannot be bound by time every time I trip into my time issue. My special function is the special form that I manifest where God becomes real for me. I know this instinctively. Every time I have a true little breakthrough about time, I say to myself in a amusing way “Yes, there is a God.” (laughter) It reaffirms God for me. I’m not really trapped by time and all my work. Sometimes there are breakthroughs, but my tendency, if I don’t focus in on the occasional real breakthroughs and reinforce them in my mind, is to go right back to my old way of thinking. In the section from the Workbook, titled, “What Is A Miracle?” the Course says, “Perception stands corrected in His sight, and what was meant to curse has come to bless.” (W-pII.13.3.3) The things that cursed us, that plagued us our whole mirs, become the blessings that we have and the blessings that we give to world. Sometimes I think of The Rolling Stones old song, “Time Is On My Side.” That song has sometimes helped me tremendously when I get caught, hooked into the little idea that somehow time is my enemy. I think that. Thoughts like, “Time is just working against me!” That’s just the way I’m spinning it. Time, actually, is on my side. That special curse can be my special blessing and I can never let up on this issue. We can’t ever let up on our core issues. Most of you know I study and teach a mental health discipline named Recovery Incorporated. One of the therapeutic phrases Recovery uses is, “My mental health is my supreme purpose, not a subordinate goal.” What this is trying to instill in us is the idea that regardless of whatever we are trying to do in the world we can never forget that the most important thing for us to do is to stay mentally healthy. A Course in Miracles would probably say, “My peace of mind is my supreme purpose, not a subordinate goal.” We always have to maintain our peace of mind. It has to become our supreme purpose. One thing that will knock me out of peace of mind is thoughts about lack of time. Mastering those thoughts of lack and reaffirming the abundance of time has to become my supreme purpose. It can never be a subordinate goal even in those moments when my core issues don’t seem to be plaguing me. That’s when I let my guard down. That’s when I mistakenly think that, somehow, I’ve mastered this time issue – because it is not a problem right now. I stop doing the things that I should probably never stop doing. This is what I’ve realized now at the ripe age of 54. There are certain things, certain corrections, certain affirmations that I probably should never stop doing because they relate to my core issues. These core issues which used to seem to be my special curse are actually my special blessing. I should never stop practicing their correction because I should never stop offering that correction to the entire world and this is my purpose for being here and it’s a good purpose. This purpose transforms my way of looking at these issues that used to be awful for me. This article appeared in the June 2006 (Vol. 20 No. 4) issue of Miracles Monthly . Miracles Monthly is published by Community Miracles Center in San Francisco, CA. CMC is supported solely by people just like you who: become CMC Supporting Members, Give Donations and Purchase Books and Products through us.